Many researchers assume that the continuing influences of the Holocaust on its survivors are long-term, and hypothesize that its stamp is also present in the lives of the second and third generations of Holocaust survivors (e.g., Shmotkin et al., 2011). This assumption notwithstanding, controlled studies have found that second-generation Holocaust survivors do not report more psychopathology (e.g., Van IJsendoorn et al., 2003). However, there is evidence that transmission of the Holocaust experience to second- generation survivors does affect their intimate relationships (Wiseman et al., 2002). Compared to control groups, second-generation Holocaust survivors displayed less intimacy towards their partners (Mazor & Tal, 1996); evaluated their partners as being less loving and sexual and more controlling and invasive; perceived the quality of the marriage as inferior; and presented insecure intimate communication patterns (e.g., Joels, 2002). It was concluded that because the massive losses that first-generation Holocaust survivors experienced made it difficult for some to develop new loving, intimate partner-relationships and were less emotionally available to their children, the second-generation internalized a relationship model characterized by low-level intimacy and difficulty with trust. For example, second-generation Holocaust survivors who grew up in families that were silent about their parents’ trauma tended to experience their partners as being more vulnerable and weak, or as controlling and hurtful (Wiseman et al., 2002). Our study sought to qualitatively examine intergenerational transfer of difficulties in intimacy and explore strength or growth in partner-relationships of the second generation. Data was gathered from 30 semi-structured, in-depth interviews (Kvale, 1996) with 15 men and 15 women who were born between 1947 and 1965 to parents, both of whom were persecuted by the Nazis. Participants were retrieved from a non-clinical convenience sample, using snowball sampling. Data analysis was based on grounded-theory (Charmaz, 2006). The study was guided by three main research questions: (1) How do second-generation Holocaust survivors describe their relationships and the intimacy they share with their partners? (2) What, if any, is the connection between their experience of intimate relationships and their parents’ Holocaust experiences? (3) What points of weakness/strength do they see in their intimate relationships in the shadow of their parents’ Holocaust experiences? “I think that this relationship preserves my security.” The Yearning of the Second Generation for Stability and Safety. The partner relationships of some of the respondents allowed space for predictability, in which the rules of communication were clear, the expression of emotions were permitted and the intimate connection was curative. “I am trying to do things differently….” – The Tendency for Second-Generation Survivors to Reconstruct their Parents’ Intimacy Versus their Yearning for Correction. The survivors’ partner-relationships were perceived by their children as a survival strategy in which to have the corrective experience of belonging, given the traumatic, existential solitude that is the lot of persecuted people. The intimacy allowed them to feel hope despite the loss of their previous world. Many respondents described parent models that seemed to be based on two complementary characteristics: (1) considerable separateness characterized by a strict division of roles, and (2) dependence and separation difficulties. In contrast to their parental model of relationship, often described as an unpleasant polarity, a significant group of interviewees described their own needs for intimate relationships that were based on partnership and independence. “Enough, enough, how much can one take?” – The Yearning for Release From the Holocaust After Tears of Dealing With It. Interviewees expressed two dialectical movements throughout their lives, vacillating between the following polar viewpoints: 1. 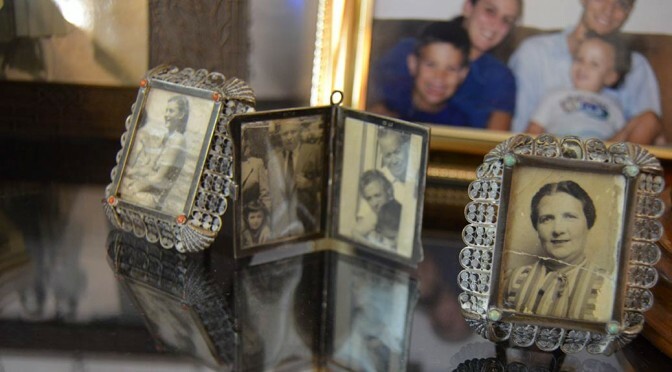 A strong connection to the story of the Holocaust stemming from their parents’ over-involvement to exclusion and compartmentalization of their parents’ experience during childhood, and 2. A connection to, and engagement with, the subject of the Holocaust in their adulthood to a later satiation and yearning for release from the emotional burden. Many respondents displayed what has been termed as the “paradoxical relevance” of the children of Holocaust survivors (Chaitin, 2007). On the one hand, for many, the Holocaust has had daily significant relevance, and on the other hand, many are unable to explain what this relevance actually is. Participants in this study perceived the Holocaust as highly relevant to them, but many also feared being overwhelmed by it. As a result, numerous respondents showed how deeply affected they were by their parents’ traumatic Holocaust experiences alongside feelings of distance from their parents’ suffering in Europe. Second-generation Holocaust survivors interviewed in this study continued to move between these two polar stances throughout their lives. It is concluded, therefore, that the memory of the Holocaust moves back and forth in their awareness, between being a forefront focus that attracts pain and distress and being an avoided distant part of their consciousness. Chaitin, J. (2007). Children and grandchildren of survivors coping with the Holocaust: Paradoxical Relevance. In Solomon, Z. and Chaitin, J. (Eds. ), Childhood in the Shadow of the Holocaust (pp. 418-435). Tel Aviv University: Hakibbutz HaMeuchad Press (in Hebrew). Charmaz, K. (2006). Constructing Grounded Theory. London: Sage Publications. Joels, T. (2002). Attachment representations and partner relationships among second-generation survivors of the Holocaust. Doctoral dissertation, University of Haifa, Israel (in Hebrew). Kvale, S. (1996). Interviews. Thousand Oaks, CA: Sage Publications. Mazor, A., & Tal, I. (1996). Intergenerational transmission: The individuation process and the capacity for intimacy of adult children of Holocaust survivors. Contemporary Family Therapy, 18, 95-113. Shmotkin, D., Shrira, A., Goldberg, S., & Palgi, Y. (2011). Resilience and vulnerability among old Holocaust survivors and their families: An intergenerational overview. Journal of Intergenerational Relationships, 9, 7-21. Van IJzendoorn, M.H., Bakermans–Kranenburg, M.J., & Sagi–Schwartz, A. (2003). Are children of Holocaust survivors less well-adapted? A meta-analytic investigation of secondary traumatization. Journal of Traumatic Stress, 16, 459-469. Wiseman, H., Barber, J.P., Raz, A., Yam, I., Foltz, C., & Livne-Snir, S. (2002). Parental communication of Holocaust experiences and interpersonal patterns in offspring of Holocaust survivors. International Journal of Behavioral Development, 26, 371-381. My husband born in 1932 was during the 2º war with cristian families hidden in Belgium. I was born in 1938 in Cernowitz – Rumenia and was not allowed to r to go out of our home because jews were not allowed, during the war. So I had no friends, other children do establish relationship. 2003 and divorces in 2012. I help to grow up my grand child who is 5 years old. Now I am a widow and very concerned with the future of my daughter.